Parts of the White Mountains had peak foliage over the holiday weekend. The valley of the White Mountains in Milan, New Hampshire, Sept. 28, 2014. Restaurants, motels and attractions in the White Mountains area say it's been a successful Columbus Day holiday weekend with tens of thousands of people visiting for the fall foliage. Lynne Gruskowski of Green Village Cabins in Lincoln says she had guests from as far away as Israel, the Netherlands and Australia over the weekend. Parts of the White Mountains had peak foliage over the holiday weekend. 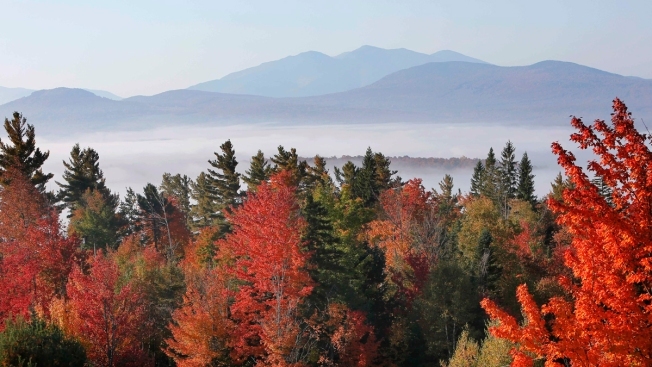 Other areas of the region, like the Mount Washington Valley, will see the strong colors come on over the next few days.